Noonoo Pinsler Donato Family Wealth Management has worked together for more than 20 years to help our clients succeed. We’re Clifford Noonoo, Jonathan Pinsler and Christopher Donato and we have been proving that three heads are better than one for more than 20 years. We are united in a mission to give clients more attention and better service than they can get anywhere else. 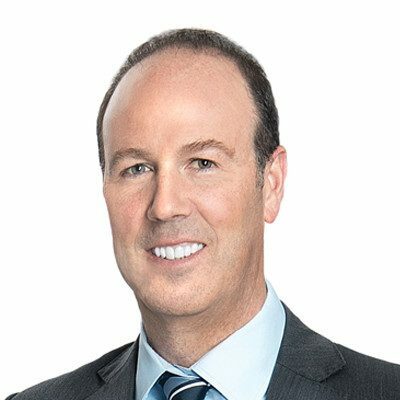 Noonoo Pinsler Donato Family Wealth Management is one of the largest advisory groups at TD Wealth Private Investment Advice and is entrusted with almost $2 billion in assets under management. We listen to clients to understand what they want to accomplish with their money and what makes them nervous. Inevitably, our objective is to gain their confidence and trust, which we hope will grow over time. "It has been my privilege to be a client of the Noonoo Pinsler Donato Family Wealth Management for over 20 years. They have always acted with the utmost of integrity and with total attention to every aspect of my investment portfolio. I look forward to many more years of professional success and friendship with the group." THAT WAS THEN: Traditional portfolio construction models served investors well in the rear-view mirror despite sharing many of the same risk characteristics. THIS IS NOW: We need to assess risk factors more astutely. OUR SOLUTION: Our approach follows a rigorous, institutional-style model that helps us to mitigate market conditions and volatility, combined with our time-tested approach. We formulate a collective view on each asset class, including expected risk-adjusted returns. This informs the customized creation of each client’s portfolio, carefully ensuring each risk factor is met. "The team at Noonoo Pinsler Donato Family Wealth Management did a terrific job understanding our wealth planning goals and needs and provided us with a very thoughtful, in-depth investment solution. In particular, my wife and I were impressed by their ability to explain and present certain of the more complex investment strategies in clear and cogent terms." We are committed to ensuring that our actions are aligned with our clients’ best interests. We deliver objective advice, without bias to any products or platforms – our only agenda is your success. Our large team is fully staffed to deliver boutique-calibre attention. For over 20 years, we have listened to clients to better understand what they want their money to do and what keeps them up at night. This learning has helped us perfect the way we would work with you. We believe that it is our greatest strength — giving clients the attention they want and need. To us, placing clients first just makes sense. When people have questions, we respond at their convenience, not ours. We don’t hide behind voicemail or assistants, so we’re there when they need us. And when they want to be involved we keep them involved, by spending time with them on the phone, at our office, or even at their home. In our world, you can never be too attentive. We strive to proactively communicate market turbulence and opportunity. "In my experience, few wealth management groups are as unfailingly professional, courteous and responsive as Noonoo Pinsler Donato Family Wealth Management. They work extremely hard to serve their clients well and provide service and reporting that is precisely tailored to my needs as the leader of a family office." 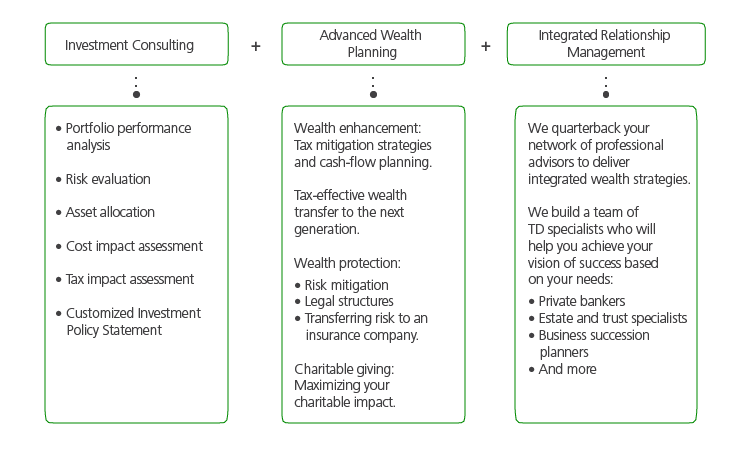 Noonoo Pinsler Donato Family Wealth Management is a part of TD Wealth Private Investment Advice, a division of TD Waterhouse Canada Inc. which is a subsidiary of The Toronto-Dominion Bank. *Click here for important disclosures. "With the markets in a generational pivot, we need a more modern approach to portfolio construction." "Why it's time for portfolio construction 2.0"
Clifford Noonoo’s top priorities in life are taking care of his family, clients and team. All of this while taking in Montreal’s many restaurants, and then working off all the food, wine and stress relentlessly at the gym. Cliff has risen to helm one of the top teams at TD Wealth Private Investment Advice through good judgment, wise advice, and being there when people need him. His favourite saying that the glass is always half empty does not constitute a negative outlook. He simply always sees opportunities to do better. Some would call him aggressive, but he only pushes people to reach for the next level – in Cliff’s view, there is no ceiling. Each client is different and Cliff pays attention to how they are different. He gets inside your skin: How will you react in different markets? In sharp downturns? What makes you panic? Do you like seafood as much as he does? Most importantly, are you happy this month? Cliff hones in on entrepreneurs and retirees, helping craft wealth and estate planning strategies and investing astutely to help clients meet their income targets. He is proud of the trust he’s forged (some clients have been with him for 30 years) and his team’s 20 years of stability. How has Cliff done so well for so long? He’s prudent. The team dedicates Louis Saleh and Estevan Carvajal, who hold the Chartered Financial Analyst designation, solely to portfolio analysis and six assistants to VIP client service, and toils behind the scenes to strive to ensure that portfolios work tax-efficiently to help deliver strong and consistent returns. In an uncertain industry, Cliff offers one pledge: This team will work hard for you. 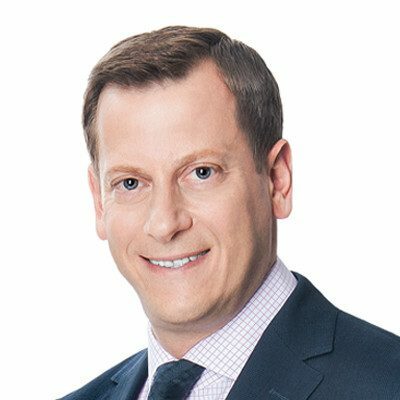 Cliff holds a Bachelor of Commerce in Finance and Statistics from Concordia University and an Accounting degree from McGill University, yet he’s not all about the numbers – he also loves connecting with people and hosting investment seminars at great restaurants (did we mention he loves fine food?). Okay, we omitted something in the first paragraph. There is another priority that drives Cliff: serving his community. He serves on the Audit Committee of the Jewish General Hospital and supports many other organizations that foster kids’ well-being. To meet with Cliff to chat about your wealth over an incredible dinner, contact him. Raised in the Maritimes, Jonathan automatically qualifies as a salt-of-the-earth type of guy. After earning his Bachelor of Science in Finance with a minor in Statistics at Babson College (near Boston), Jonathan began his financial career in 1995 and joined Cliff Noonoo and his late partner, Earl A. Agulnik, in 1997. He learned 20 years’ worth of business judgment very quickly and today looks for opportunities to repay that mentorship by assisting new advisors. Jonathan helps affluent clients make smart money decisions and integrates various facets of their complex needs, executing plans with consistent follow-through and collaborating with their accountants and other network of professionals. Jonathan believes he succeeds in helping our clients through focus, hard work, detail-mindedness and integrity. Growing up to parents who owned retail clothing stores in Fredericton, New Brunswick, business was discussed 24/7. As a kid in the family business, Jonathan started working earlier than his peers, and this strong work ethic has served him well. He simply eats, sleeps, and breathes wealth management every day (we’re not making this up!). To alleviate the pressure of doing his utmost for our clients, from time to time, Jonathan treats his coworkers to renditions of Frank Sinatra’s My Way in his booming radio voice. Prior to joining TD Wealth, Jonathan worked as a Financial Analyst with CI Financial in Toronto. 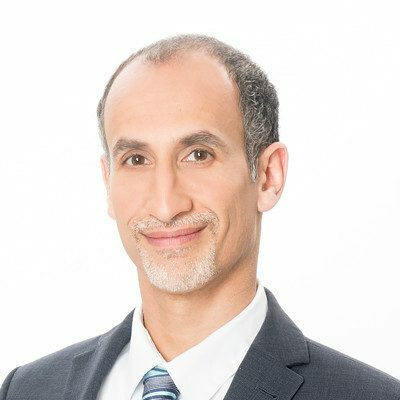 He holds the Chartered Financial Analyst (CFA®) designation and has had numerous articles published in The Globe and Mail, The Gazette and The Financial Post. Jonathan’s top priority is family and he spends most of his time with his wife Emmanuelle and daughters Julia and Clara when he is not attending to clients’ needs. Jonathan considers himself to be quite the chef, but his wife thinks he should stick to his day job. He did not grow up in a food culture and vows never to let this tragedy happen to his girls. If you are up early, you will catch him working out at 6 am at the gym. To hear Jonathan’s legendary voice, contact him to set up a meeting. 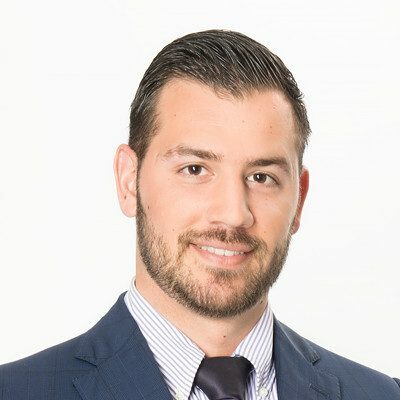 Knowledgeable, easy-going and patient, Christopher Donato is our team’s lion tamer: he has a gift for serving sophisticated, highly knowledgeable clients, helping them mine the intricacies of the complicated markets to potentially maximize performance and handling their special needs with grace. Chris works long hours to help preserve and enhance people’s wealth. Through his 23 years at TD Wealth, he has advised clients successfully through various economic extremes, and is licensed as a Portfolio Manager, which we believe gives high net worth investors even more reason to entrust their investment decisions to him.  Chris is thrilled that Noonoo Pinsler Donato is celebrating 20 years, a rare milestone in this business, and that teamwork helps the group to gauge ups and downs so there may be no roller coaster rides from good markets to bad, only stable, long-term decision-making. He is the most approachable person on our team, and credits this to his origins as a bank teller who worked his way up: Chris has experienced everyone’s role and is attuned to their problems. 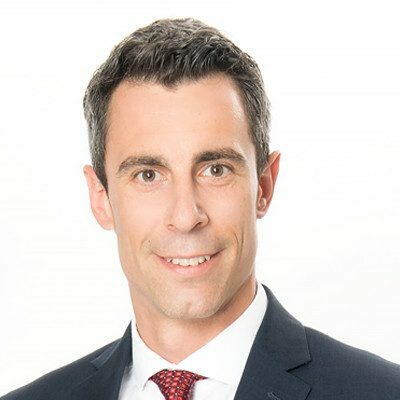 Chris holds a Bachelor of Commerce degree from McGill University and is licensed as a Portfolio Manager and Financial Security Advisor through TD Wealth Insurance Services. He is an accomplished A-level tennis player, a golfer who aspires to conquering the Pebble Beach course one day, a skier who once lived in Banff, and a die-hard Habs fan. When he’s not connecting with clients, you’ll find Chris taking his son to sporting events or music concerts or travelling with him to interesting places around the world. The most important piece of advice Chris gives people about their financial futures is to be patient. When people make short-term decisions, they generally regret them. Time ends up solving a lot of issues. To chat with Chris about your financial future (or sports), contact him. *TD Wealth Insurance Services means TD Waterhouse Insurance Services Inc., a member of TD Bank Group. All insurance products and services are offered by the life licensed advisors of TD Waterhouse Insurance Services Inc.
Michael was inspired to join the industry 18 years ago by his father, a commodities broker. He started his career at Merrill Lynch in 2000 and joined National Bank Financial two years later. Michael has been at TD since 2014 and joined our team early in 2017 and assists our clients in planning to achieve their investment and retirement goals. He holds his options license, which enables him to offer sophisticated long/short strategies to help reduce risk and volatility profiles in his clients’ portfolios. On a personal level, Michael is an avid practitioner of crossfit, martial arts and meditation. Michael Abdoo stays calm and grounded, which helps him listen patiently to clients and achieve a deeper connection with them. Florida is Michael’s go-to destination for down time. A true citizen of the world, Michael is fluent in English, French and Hebrew. In his private hours, Michael also enjoys listening to the motivational speakers and spending time with the ultimate motivational experts: his kids. Francesca is our "Go Getter". Within our team, Francesca is famous for her work ethic and enthusiasm. She graduated from Concordia with a B.Comm. in Finance and has successfully completed the Canadian Securities, Conduct and Practices Handbook, Options Licensing and Professional Financial Planning Courses with the Canadian Securities Institute. Francesca joined our team in 1999 and is responsible for account administration, trading and support on multiple assignments. 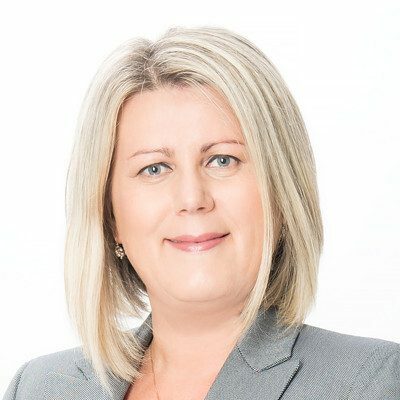 She has the experience and passion to allow her to excel at the kind of top-tier service that helps to make the wealth journey a very positive experience for our clients. Fluent in Italian and French, Francesca is a supporter of the Opération Enfant Soleil. Her personal priority is her husband and two young children and she enjoys camping, good theatre and activities that keep her kids active and happy. As a big foodie, she loves to try out new recipes. When time permits, Francesca enjoys skiing, skating, biking and travelling to Europe (but the reality with two young kids is more often an all-inclusive in the Dominican Republic where she can be pampered!). We call Anna Maria our "Ray of Sunshine". 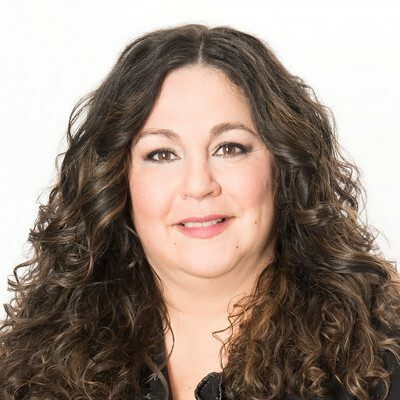 Anna Maria Guido has been gathering extensive knowledge of the financial industry since 1990 and has supported our team since 2006. Her warm and glowing personalilty is infectious within our team! We count on Anna Maria’s time management, problem-solving and efficient, pleasant and experienced support. Anna Maria enjoys her ongoing interaction with our clients and thrives in our fast-paced, continuously challenging environment. Anna Maria holds a B.Comm. 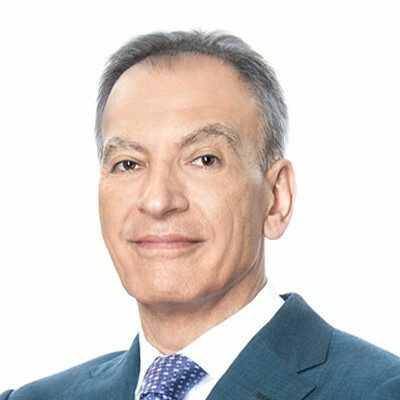 in Finance from Concordia University and has completed the Canadian Securities, Conduct and Practices Handbook, and Wealth Management Essentials Courses through the Canadian Securities Institute. A dedicated foodie, Anna Maria’s mission is to be in the know about Montréal’s must-try new restaurants. With a great sense of humour and fondness for travel, long walks with her Maltese, watching soccer and boxing with her husband, trying new recipes with her daughter, and visiting the Old Port with her best friend, Anna Maria maintains a great work/life balance. Fluent in French and Italian, Anna Maria is an animal lover who passionately supports animal welfare groups. Louis is our "Number Cruncher". Louis’ father traded futures. While growing up, his dad showed Louis the days charts and trading patterns, sparking his early understanding of the markets. Today, Louis is a father himself and, while his son Liam is still very young, we suspect he’ll soon start teaching him to read the markets. A Selwyn House old boy who graduated in the top 15% of his class with a B.Comm. in Finance and Accounting from Concordia’s John Molson School of Business, Louis joined our group in 2007 just before the financial crisis hit. He soon obtained his Chartered Financial Analyst designation, passing all three of the rigorous exams consecutively. Today, he belongs to the Montréal CFA society and is licensed to provide sophisticated options solutions. We feel that Louis’ expertise in financial analysis makes him invaluable to our sophisticated investors, who appreciate his broad range of knowledge. Louis constructs our team’s stock portfolios and helps us identify top names. Louis loves to travel to new and exotic destinations, embracing the authentic local culture and especially the exotic culinary and street food scenes. Louis always excelled at hockey and rugby and played competitive football through school and city teams. He still plays sports and keeps fit by working out in the gym, spinning, doing boot camps and weightlifting. Tanya is the team's "Logistics Expert". Tanya is our chief scheduler and problem-solver. Her passion for investments and strong belief in working hard to deliver exceptional customer service is infectious. Tanya earned her B.Comm. with a major in Finance from the John Molson School of Business at Concordia and has completed the Canadian Securities, Conduct and Practices Handbook, Derivatives Fundamentals, and the Options Licensing Courses through the Canadian Securities Institute. She began her career in 2009 and joined our team in 2012 after working with TD Canada Trust and TD Direct Investing. Tanya donates gift-filled shoeboxes to Operation Christmas Child, an organization that distributes them to struggling kids in the developing world.She hikes almost every day with her dog and spends a lot of time training and playing with him. Classically Italian, she adores food, and is a devoted cook and baker. Tanya’s goal is to travel and surround herself with different cultures, history, breathtaking views and, of course, fabulous food! We refer to Estevan as our "Brainiac". As early as CEGEP, Estevan’s entrepreneurial professors inspired him to read up on what makes a business succeed, and he has never stopped learning. Constant innovation is his mantra and he loves our team’s dynamic work environment. Estevan began his career in 2011 and joined our family in 2014 from the Kenneth Woods Portfolio Management Program. 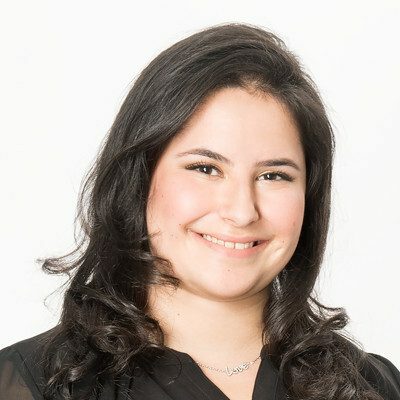 Before that, as a member of the Institute of Co-operative Education, Estevan completed invaluable internships as a Risk Analyst covering the Canadian Real Estate market at GE Capital, as a Sell-Side Associate of small-cap technology equities at Industrial Alliance Securities, and as a Research Analyst for a portfolio at Mirabaud Canada. Estevan earned his Bachelor of Commerce degree with a major in Finance, graduating with Distinction on the Dean’s Honour List from Concordia’s John Molson School of Business. Estevan holds the Chartered Financial Analyst designation, a candidate for the Chartered Investment Manager designation, a member of Beta Gamma Sigma Fraternity and the Golden Key International Society. Estevan provides analysis and investment recommendations for our high net worth clients and assists in managing our North American Equity portfolios. A soccer fanatic who played competitively for over 20 years, Estevan now plays semi-competitively to stay concussion-free. He loves to push his body to its limits through weight training and his rigorous fitness regime. His other passions include reading the latest business books and travelling to soak up new cultures and cuisines, especially in Spain, where his father was born, most of his family lives and, of course, everyone lives and breathes soccer. Maria is the team's "Eagle Eye". Fluent in English, French and Italian, Maria is respected within our team for her strong work ethic, valuable client customer skills and vast industry knowledge. We feel that no one has a greater eye for details and logistics than Maria! 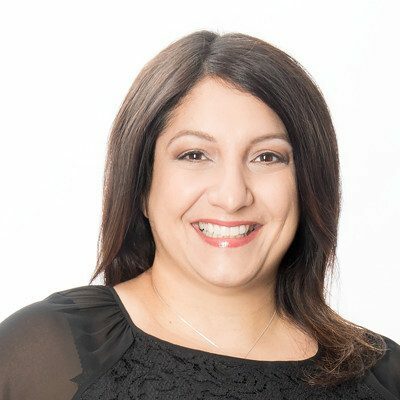 She holds a Bachelor of Commerce in Finance from Concordia and has completed the Canadian Securities, Conduct and Practices Handbook and Wealth Management Essentials courses through the Canadian Securities Institute. Maria has been working in financial services since 1994. She joined TD Wealth Private Investment Advice in 2006. Before this, she was an Associate at RBC Dominion Securities. Her pet pastimes are drawing, baking, watching movies, going to comedy shows, and checking out new restaurants and festivals. She grew up watching soccer and loves cheering on Montréal Impact and Azzurri, Italy’s national team. We call Camelia our "Goodwill Ambassador"
Camelia cultivates her relaxed attitude by gardening, which is her therapy for mind and body. She also cultivates the affection of her coworkers by sharing her delicious cooking and baking with us at lunchtime. With a BA in Literature, Culture and Civilization and a strong interest making things work efficiently, Camelia went on to earn a secretarial and administrative degree at École des métiers de l'informatique, du commerce et de l'administration. She joined TD Wealth in 2005 and assisted the Branch Administrator until she became part of our team in 2012. Camelia takes great pride in her work and really gives 110% to provide accurate, detailed, organized information and support to keep our office running smoothly. Camelia volunteers with Centraide of Greater Montréal to break the cycle of poverty and social exclusion. Her favourite place to travel is Romania, where she can visit her parents, explore the country and help her son to understand his origins. Camelia values any activity she can share with her family and loves getting out into nature to go cycling. Dana is the team's "Life Saver". Driven by her love for economics, numbers and the psychology behind the markets, Dana joined TD Wealth in 2016. 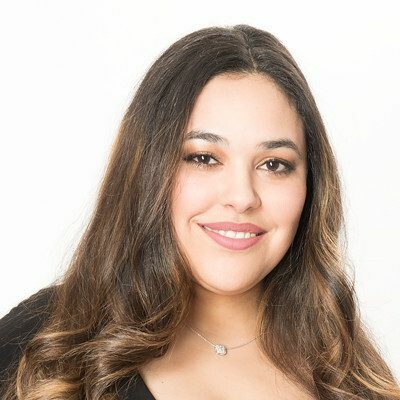 Early in 2017 she joined our team to assist Michael Abdoo and Syd Stepner. Dana is responsible for client contact, account administration, trading and general right-hand support. 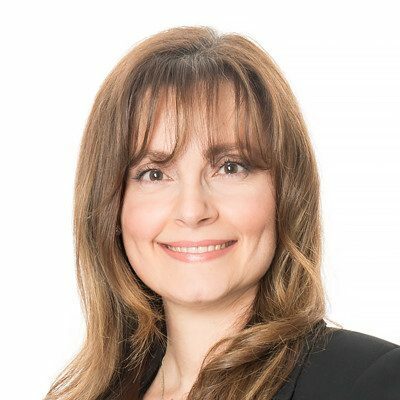 She has studied Education at Concordia University, is now studying Management at McGill, has completed the Canadian Securities Course with the Canadian Securities Institute, and is currently studying for their Conduct and Practices Handbook Course. Previously, Dana worked for another advisory team at TD Wealth Private Investment Advice and also in the Cash Cage at TD Wealth. She is fluent in French, understands Hebrew very well, and knows a little Arabic and Yiddish. An avid animal rescue advocate, Dana volunteers for Rosie's Adoption, Gerdy’s Adoption, the SPCA and other organizations. Israel is her favourite destination because it feels like home and yet is a world apart. A good book is Dana’s sanctuary – reading allows her to relax and become immersed in someone else's story. She also loves walking and hiking with her dogs, her friends and her loved ones, as well as baking and cooking traditional fare.